Butch Warren is sitting in the bright, carpeted lobby of the seniors’ apartment building where he lives, in a suburb just north of Washington, D.C., his hometown. “You might as well be dead now, living around here, man. This is like a graveyard.” Warren, 72, is a heavy smoker constantly hounded by his emphysema. He glances around the room, then lets out a thunderous cough. “Nothing goes on. I usually hang with the young people, because the rest of the people are half-dead. You know.” Warren is not emphatic, and he isn’t asking for anything. It’s just the truth, spoken in a tone that’s flinty and husky and deliberate, a lot like the way he plays the bass. That bass sound is the reason we’re still talking about Warren today-and quite possibly the reason he is still living, buoyed by a small circle of musicians and friends who are dedicated to furthering his music and bolstering his hardy spirit. For two critical years in the hard-bop era, Warren was the house bassist for Blue Note Records. He lent a firm, velvet-gloved foundation to dozens of albums by the likes of Herbie Hancock, Dexter Gordon and Hank Mobley. He toured with Thelonious Monk. Then, he vanished. 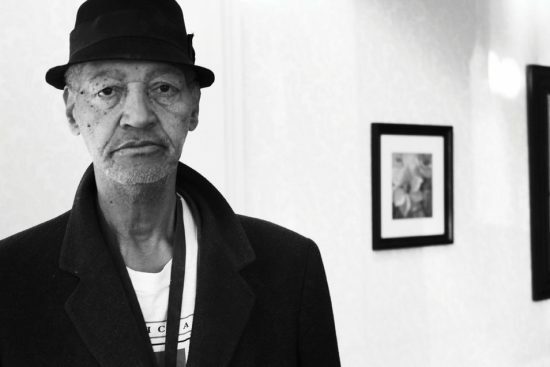 By the age of 24, Warren had returned to D.C., where he would spend the next four decades moving between mental institutions, homelessness and jail. His schooldays were filled with fighting and discontent. “Teachers weren’t qualified. It was awful before integration, terrible,” he says. “All we had was jazz to survive with.” Jazz as survival tool is a motif of Warren’s parlance. In the lives of so many from that era, and in his case especially, it is not hyperbole. In his laconic way, many of Warren’s statements sound like instant aphorisms, and some indeed are. His definition of jazz-“playing two songs at once”-might double as a poetic reading of Du Bois’ take on the African-American experience. Warren’s father was a part-time pianist and organist who played at clubs around D.C. and opened his house to black musicians who might otherwise have had difficulty being served at restaurants or housed in hotels. Jimmy Smith, Stuff Smith and other greats came by, and other youngsters such as Billy Hart received their education. Warren’s home became a less bohemian version of the famous jazz lofts that would house jam sessions and hangouts later on, during his stint in New York. Warren was a lanky 19-year-old, hanging in the shadows one night before a Kenny Dorham show at the club Bohemian Caverns, when he got his shot. The trumpet star’s regular bassist had gone missing. “He left his bass there, so I picked it up,” Warren says. “Dorham said, ‘If you feel you can handle it, come up. Otherwise, don’t come up. '” Warren proved himself, and days later the trumpeter sent a missive inviting him to New York. Warren joined Dorham for a six-month engagement at the Turbo Village, a club in Brooklyn’s East New York neighborhood. For a while, he barely made ends meet. “I lived in an Italian neighborhood and I couldn’t afford to buy pizza,” he says. But opportunity came with all its darker foils: risk, volatility, excess, ephemerality. Warren had already been battling fits of mental instability, and he soon found that hard-bop dovetailed with hard drugs. Warren dabbled widely but was especially paralyzed by heroin. Then, on Jan. 13, 1963, Clark overdosed. Lion called Warren to the morgue, where he was asked to identify the body. Staring into Clark’s cold face, Warren could perceive his own demise. That May, Thelonious Monk hired the 23-year-old Warren to join his quartet for an international tour-the gig of a lifetime. Monk was enamored with his dilated bass attack, misfit notes and respect for a tune’s melody. The band hit spots as far-flung as Paris, Tokyo and the Newport Jazz Festival. But Warren was engulfed in mental turmoil, and the noxious swirl of drugs around Monk’s band added temptation to his torment. After a year on the road, he walked away. “You had to use drugs to be in that band,” Warren says. “I quit, and I sent [Monk] a box of candy for Halloween. I said, ‘I don’t want to go to no more Halloween parties,'” a reference to junkies’ hangouts. The bassist moved back to D.C. and checked himself into St. Elizabeths Hospital, a turreted, fortress-like psychiatric facility. He would never record in New York again. Warren steadied himself for a time in the late 1960s, getting married to his second wife, working frequent club dates and playing in the house band of a local television show, Today With Inga. But by the ’70s, Warren was little more than a specter at the occasional jam session; friends would sometimes find him on the street at night, apparently aimless.